I've read a run of great reads: Ms. Marvel, Lives in Ruins, The Art of the English Murder, and The Boston Girl. Right now I'm reading North of Boston by Elisabeth Elo. There hasn't been a whole lot of that around here but I did write a December wrap up post. PRESENTS! Don't you love this time of year? I love hunting for the perfect gifts for my family members. The only bummer is that my husband is rarely home. There's no rest for the UPS man during November and December! It's time for me to make my grocery list and to get baking. The kids have made their requests, and people (my dad!) expect their seasonal favorites. Cut out cookies, caramel brownies, chocolate dipped peanut butter balls, etc! I'm a little mouth-watery just thinking about all of the goodies. Celebrating: The gang from Redbery Books had our holiday party at Farmstead Creamery & Cafe. What an absolutely beautiful place. It's a glorious farm run by a mother and her two daughters. I cannot tell you how impressed I am with that place and with those three women. We made wreaths, ate apple cake and local cheeses, and chatted about (what else?) books. I made chicken pot pie this week. Pioneer Woman strikes again! I found a great way to cook chicken so that it's extremely tender, I used the turkey stock that I made from Thanksgiving leftovers, and I was completely thrilled with the results. I'm excited about the upcoming holidays, of course. Right this minute I have a pork shoulder slowly cooking away in the crock pot for some Southwestern Pulled Pork Sandwiches. I'm anticipating those for sure. I love it when I get on a roll with great reads. :-) Have a great week! Tell your husband thank you for being one of the many UPS men who work so hard for us during the holidays. Glad you liked the way your Chicken Pot Pie turned out. I'm adding Farmstead Creamery to my must visit list for the next time I'm in Hayward. Have a great week. It looks like it will be another busy one. All of your great reads sound wonderful. The Red Tent was one of my favorites, so may have to check out The Boston Girl. Happy to see you liked it. 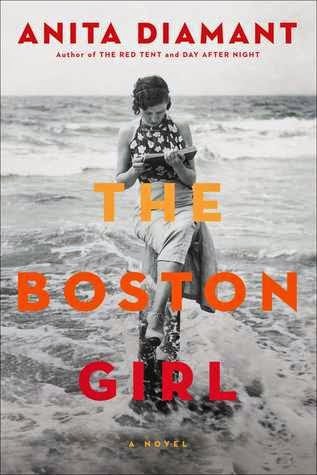 I just read The Boston Girl as well...though I thought it was just so so. 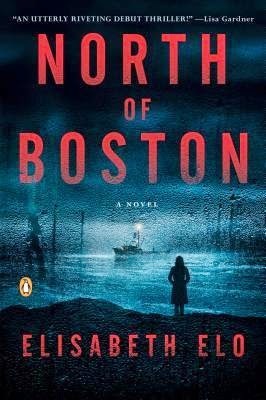 I also have North of Boston on my TBR list...and have since the beginning of this year! I'll be interested to hear your thoughts! I have a post coming this week about reading mostly TBRs in 2015! I wrote myself rules and everything! Lol. I'm calling it the TBRs I Own Reading Challenge. Cause I'm really feeling crazy about the number of awesome titles I have sitting around my house but haven't read, yet add more!!! Your description and photos of holiday baking have my mouth watering! I love getting ready for Christmas, but what with spending the holidays away (visiting family), I did almost no decorating and won't be doing any baking this year. Oh, well, there's still oodles of present-wrapping ahead of me! I love choosing and giving presents. Have a wonderful week and enjoy the holiday anticipation! Your cooking sounds SO GOOD. We have big plans for super easy, super lazy chicken pot pies this week. Oh that Pioneer Woman can get me in some serious trouble! Those chicken pot pies look delicious...you might be inspiring me. Glad to see you're on a great streak of reading! Your food pictures are so drool-worthy! My mom makes the chocolate dipped peanut butter balls too. They are definitely a Christmas must have! I am so impressed by your wrapping gifts already. I still have to finish shopping and hopefully the wrapping will commence soon! I'm waiting on Ms Marvel and The Art of the English Murder from the library. They sound so good - I can hardly wait! I've got a ton of presents waiting to be wrapped, so I'll need to set aside a wrapping day soon. You always post about the tastiest recipes! I need to check out the link to how to cook tender chicken. Mine always comes out a little (or a lot) too dry. Oww food posts!! Now I am hungry. Good luck for the driving exam, hope your son will get his license. Love your reading plan for 2015. Looking forward to the post!